Zimmerman Exteriors is Kicking It All Up a Notch! Everyone at Zimmerman Exteriors is thrilled about the new online steps we’re taking to become more accessible to the communities that we serve in Lancaster and nearby counties. For nearly two decades, we’ve been helping home and business owners improve their properties with roofing, siding, energy-efficient doors and windows, masonry work, and home additions. Now we’re making ourselves more active on the web to provide helpful information and actionable tips about home exterior repair, renovations, maintenance and lots of other topics that matter to you and your neighbors. We recognized that our website needed its own renovation! We’ve rebuilt it to serve you better. As you visit it, you’ll find that it has a fresh design to give it more curb appeal – and we’ve made it easier to find what you’re looking for through streamlined menu options. Plus we’ve added new content including a page that shares about our new energy-saving product, reflective insulation. Not only that, but we’ve added this blog, too! As trusted, reliable home renovations professionals, we believe it’s our responsibility to inform and educate consumers so they can make smart home exterior construction and repair decisions. That’s why we’ve launched this blog. We aim to make it the “go to” place for home and business owners throughout Lancaster, Harrisburg, Reading, York and surrounding areas to find honest and practical advice on a variety of home exterior subjects. Best of all, we promise not to bore you to tears with dry, monotonous content like so many other home exterior and renovations blogs. We’ll keep it fresh and lively so you’ll not only find helpful information – you’ll enjoy reading it, too! We also realized it was time to get more “social” on social media. On our Facebook page, you’ll discover smart exterior maintenance tips, exterior renovation ideas, before and after photos of projects we’ve completed, fun facts, and exciting announcements. We invite you to post your home exterior questions for us there and share your thoughts on our posts. And the same goes for our Google Plus page. Please “Like” our Facebook page and add us to your Google Plus circles so you won’t miss a thing! 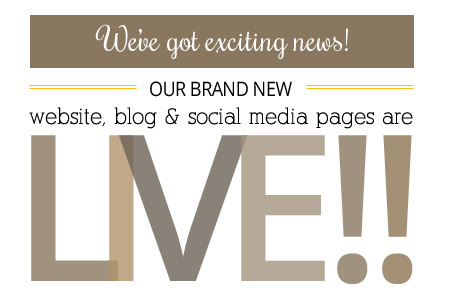 As you can tell, we’re very excited about our new, improved online presence! We hope you’ll share our enthusiasm – and spread the word – as we make ourselves more accessible and approachable on the web to homeowners throughout Lancaster, Berks, York and Dauphin counties.